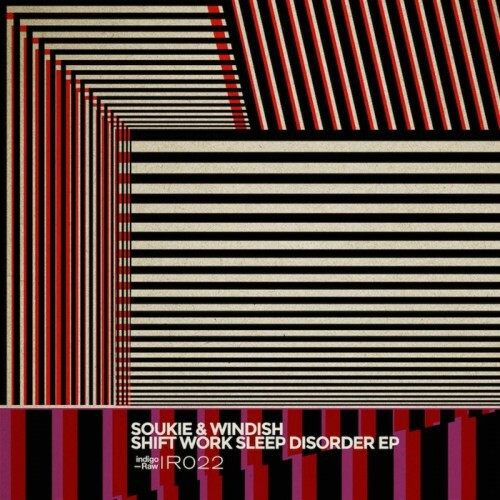 Date: 22.02.2018 | Techno | Tags: Soukie, Windish, Techno, Indigo Raw | Download Soukie & Windish - Shift Work Sleep Disorder (2018) for free. Soukie & Windish are true party princes within the Berlin Rave Society. They have gained this royal position by continuously pulling out musical gems and never forgetting what it’s like to be glued to a dance-floor. Growing out of the cities fertile soils since the magical years, they have spun musical webs for the Bachstelzten Collective, Kater Blau and Salon zur Wilden Renate to name a few, while their label ‘URSL Records’ has helped to drive the movement forward with its selection of artists and releases. When not playing live or back to back DJ sets, they go on solo trips as Nayan Soukie & Fritz Windish working crowds at the peak of the night through to the madness of the after-hour party with deep techno moods to funked disco grooves. Soukie & Windish are Right Now and Beyond.